Warbucks is an ultra-magnetic neighborhood restaurant that mixes technique and creativity in equal measure. 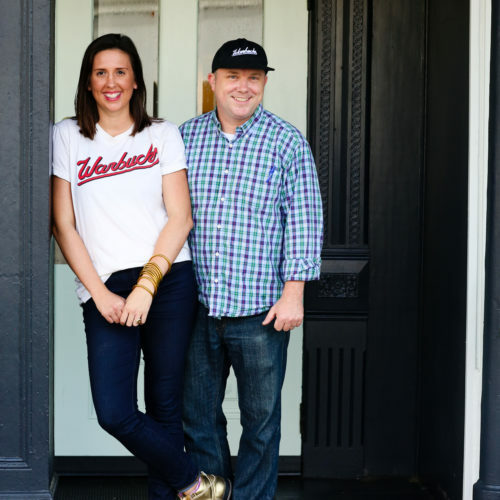 Located on Magazine Street in New Orleans’ historic Uptown neighborhood, Warbucks is the brainchild of Executive Chef Todd Pulsinelli, formerly Executive Chef at BRG Hospitality flagship restaurant, August. Here, Chef Pulsinelli takes the commitment to quality and the techniques of a fine-dining restaurant and reinterprets them for a playful and laidback environment with a casual selection of small plates, sandwiches, and salads. With a name inspired by his rapper persona, Chef Pulsinelli’s menu and décor harness the essence of 90s rap, skateboarding, and hip-hop culture to serve up imaginative and eclectic dishes including Shrimp Rings with Finger Lime Cocktail Sauce, Burrata and Short Rib Hand Pies, Oxtail-Stuffed Tater Tots with Blackberry Ketchup, and Zapps-Crusted Drum with Green Gribiche for lunch and dinner daily. In true New Orleans fashion, Warbucks features classic and large-format to-go cocktails and frozen drinks, as well as a full bar with rotating wines and beers.